The “Sixth Player” in basketball is a player who is not a starter but he is usually the first to come off the bench to help the team. The presence of a good sixth man is often a sign of team excellence. Similarly, most of the research laboratories conformed by wet-lab members need a “Sixth Researcher” to help with the data produced in the experiments. For example, New Generation Sequencing (NGS) experiments require a bioinformatician in the team to analyze the Big Data that they produce. Sixth Researcher is the place where I want to share my personal experience in the Bioinformatics field. 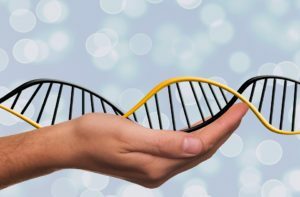 In the Blog section I post regularly articles about bioinformatics, genomics, NGS and science in general. In Didactic Materials section you will find courses, presentations, workshops and other materials that I prepared and could be useful for other researchers. Finally, I would like to offer my Bioinformatics experience to any research laboratory that requires to contract a Sixth Researcher in the team for a short-term period or as consultant. You can find a summary of my research experience here. Use the Contact page to tell me more details about your research and your bioinformatics needs.